Slush is made from a fuzzy grey material with large blue and black button eyes and a black nose. His face, belly and paws are made from white material. Slush the Husky was introduced on 1st October 2009. 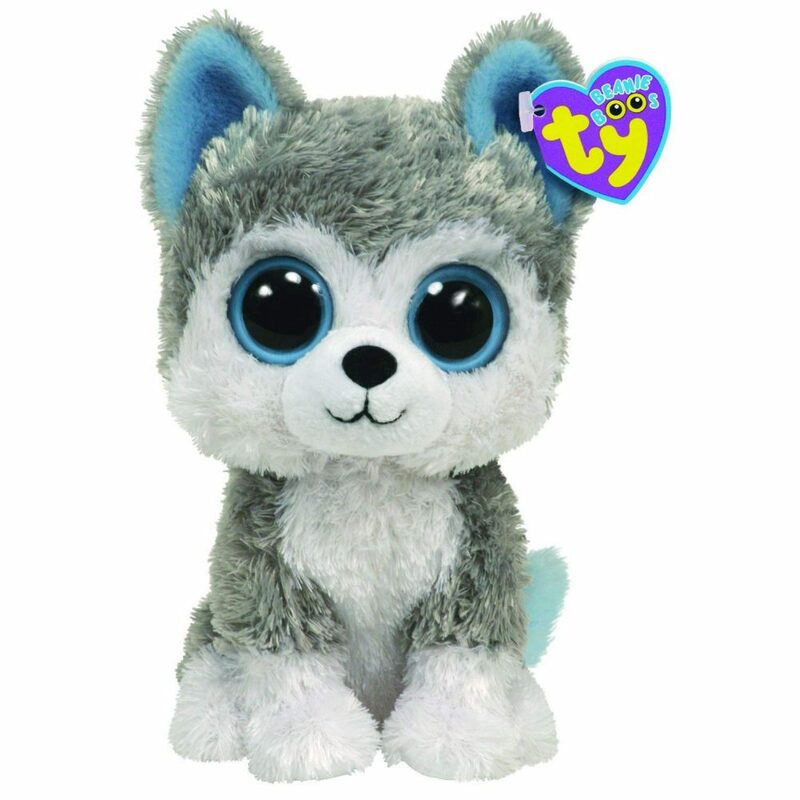 This is the second release for the UK and the first release for the USA of Slush the Husky, as distinguished by the blue on the inside of his ears. Earlier versions features white ears instead.